Fingerprints have been the gold standard for identity for more than 125 years. Instant, accurate identification can, however, work against the goals of public health initiatives for diseases such as AIDS or tuberculosis. Individuals concerned they may be at risk for these conditions often avoid testing due to fear of the social the stigma that comes with a positive diagnosis. As a result, they refuse examination if required to provide identification before testing, putting both themselves and their communities at risk. Shout It Now, a non-governmental organisation based in South Africa, dramatically improved both testing and treatment rates for AIDS by turning this conventional paradigm upside down. 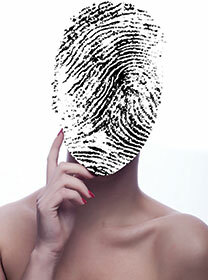 Rather than using fingerprints to identify individuals, Shout It Now’s mobile testing vans use biometric fingerprint scanners to create a unique and private identifier for each tested individual. No one must reveal who they are until they know their HIV status and have made decisions regarding treatment. The process begins with Shout It Now placing its vans in areas frequented by young adults. An individual concerned about HIV status enters the first van, where a technician takes a fingerprint using an application developed by IDversol, a South African identity management provider. The fingerprint scanner itself is Integrated Biometrics’ Watson Mini, a two-finger device that delivers FBI certified results in a thin and durable package that integrates smoothly with the rest of the system and requires little, if any maintenance. The fingerprint becomes the patient’s unique and private identifier. No information passes to government databases or law enforcement organisations. The technician performs the bloodwork and initiates the tests. The patient receives the results via SMS text within 24 hours. Those individuals who test positive then have the option to visit Shout It Now’s companion van to receive confirmation of results, counselling, and, when warranted, an initial course of anti-retroviral therapy (ART). The fingerprint serves as the link between test results and recommended treatment. These patients may choose to reveal their identity at that time, or to wait until they visit their regular health care provider. This community-based approach serves up to 250 clients per day per location for 24/7 operation. Each mobile clinic sets up in less than 15 minutes. The testing process itself takes as little as 10 minutes. Each van provides instructional materials in English, Zulu, and Sepedi. The cost of the programme, as well as the cost of treatment, receives support from the United States President’s Emergency Plan for AIDS Relief (PEPFAR). PEPFAR combines resources from eight US governmental agencies, six at the cabinet level, to provide public-private whole-government support to transform the global response to AIDS. Shout It Now designed its mobile testing system to help South Africa meet the United Nation’s ‘90-90-90’ goals. The 90-90-90 initiative encourages nations to diagnose 90% of their HIV-infected populations, treat 90% of those diagnosed with antiretroviral medications, and achieve 90% viral suppression for those receiving treatment. The need is urgent. Currently, only 53% of the world’s HIV-positive population receive testing. 12.9 million people globally remain untreated, and almost one-third of HIV-infected individuals on treatment are not virally suppressed. Taken collectively, these results significantly impact public health agencies’ ability to control and prevent the transmission of AIDS. Shout It Now’s education efforts deliver impressive results that directly counter these trends, with 97% of participants agreeing to same-day testing compared to 34% willing to undergo HIV testing before the programme. The organisation’s mobile testing and treatment vans extend those efforts by making it exceptionally convenient for individuals to receive testing, counselling, and treatment in a safe, confidential environment. The organisation has been so pleased with the mobile clinics’ initial success that they hope to extend testing from HIV to tuberculosis soon. “HIV and AIDS remain the biggest social issue facing South Africa. As a stakeholder, we take our role in ensuring the national 90-90-90 targets are met seriously. We have found that first and foremost, our clients want convenience – fast, free and friendly service at a time and location that suits them,” says Bruce Forgrieve, chairman, Shout-It-Now.